Amazon has long been rumored to be planning an expansion into India, but so far as I know they're still hiring staff. With that in mind today's news about a local Indian Kindle Store comes as a surprise only in that Amazon's digital presence launched before their physical presence. So there's now a Kindle Store India. According to Amazon, it offers over a million ebooks, including 70 of 100 Nielsen Bestsellers. Local prices are listed in rupees, though that won't matter for most of that million in titles because they're free public domain ebooks. Amazon is boasting that the Indian Kindle Store features a vast selection of ebooks from a range of Indian authors, including Chetan Bhagat, Ashwin Sanghi, Ravinder Singh and Amish Tripathi. They also have gone the usual route with exclusives; readers will also find exclusive Kindle ebooks such as Reality Bites; a not so innocent Love Story by Anurag Anand, Love, Life and a Beer Can by Prashant Sharma, as well as over all the free classics that you've come to expect in an ebookstore. Indian readers can also buy a Kindle at any one of 70 odd Croma stores. Amazon has signed up the electronics chain as their first Indian retailer. 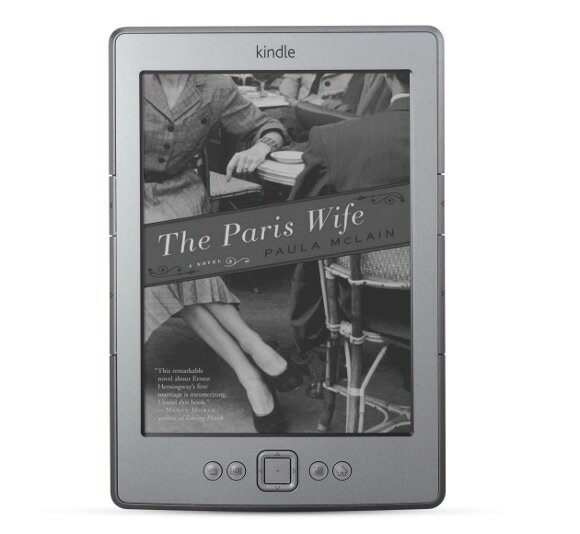 The Kindle apps are also available to Indian readers, but note that the Kindle Fire is not. You can also find the Kindle via the Junglee, Amazon's Indian sub. Junglee is a 3rd party retailer marketplace which operates much like Amazon, with the exception that Junglee doesn't handle any of the goods. This is likely the company that Amazon will rename as Amazon India when they officially launch in the republic. I'm in the mood to puncture balloons, so I'd like to point out that there is a notable lack of ebooks in any of India's languages besides English. In spite of what you might think from meeting Indian expats (or talking to Dell's tech support), the official language of India is Hindi, with English adopted mainly because of the dominance of Britain in colonial times and then the US now. Furthermore, India has over 1500 languages as well as 30 languages which each have over a million native speakers. You cannot buy Kindle ebooks in those languages, either. The reason I'm pointing out the language issue is that this launch more of a flub than a milestone. One might as well launch an English-only ebookstore in Europe and be thrilled that you covered a market with 500 million consumers. But Amazon's mistake is also good news for their local competition. India has a population of 1.2 billion, including some rather large language concentrations. Truly supporting that market is going to require support for more fonts, scripts, and languages that Amazon is wont to do, and that means there is an excellent opportunity for someone to jump in and take it away from them. I always thought Japan and nearby countries were the hardest market for ebooks because of the font issues (plus vertical text and other weirdness), but now that you mention India that must be a lot harder. In Japan, Korea, etc. there is one national language so you can make a country launch and focus on that one language. China is more diverse but still you have one language, Mandarin, which is official nationwide and pretty much overwhelms all others. And China is considerable more advanced than India in living standards. India is almost unique in the diversity of languages within a single nation, and to make matters worse, the vast majority of speakers of these languages won’t have a credit card, or an ereader, and many won’t even have reliable access to electricity. So there is very little incentive for Amazon or anybody else to fill that market niche. Clearly, it will take many years for ebooks to make a dent. Does Amazon have a pay-by-phone option in any of its stores? Seems like that would be the best solution in developing markets like India or Brazil. The people that have the disposable income to afford a luxury like a Kindle are very likely to speak/read English. It is very much a lingua franca among the affluent classes in India, in large part due to the diversity in languages in the country. If you go to a private school in India, and you will be sent to one if your parents can afford it, you will be speaking English not only in the classroom but with your peers who will be drawn from all over the country and will have English as the only language in common. Hindi, Tamil, Bengali, and Urdu would be good next steps, but English is an excellent first step for India. The figures might be out of date but that’s still a small number. Focusing only on that minority would be similar to how before the launch of paperbacks the US publishing was only interested in selling to the literati. The rest of the population is an underserved market. I have to agree with luqman. It totally makes sense for Amazon to start with English. That is a market of more like 200 million people and growing every day. And that’s where the demand is. I would love to see them sell books in other languages but this is an excellent start. Except that Amazon is probably never going to move beyond the English speaking readers in India, so my point remains true. There’s an opportunity here for a competitor to serve the non-English speakers. I agree with Luqman completely. Nate you refer to Wikipedia data but forget to mention that the same data shows India second only to USA for total number of English speakers. Not only that these are mist affluent consumers in India as Luqman mentions. I don’t know why you are so sure of that, Nate. They’ve diversified before. Right now the market even for Hindi is far smaller than for English, if you consider people who are likely to buy Kindles or use the apps. Never is probably the wrong word, yes. But I don’t see the Kindle Store expanding to include India’s multitude of languages any time in the next year to 18 months.